By now, you’ve probably heard about Slides Framework, an easy-to-use website builder that helps you get a site up and running in no time. If you haven’t tried Slides yet, this dose of visual inspiration might be just the thing for you. All of the websites below are mini-case studies that show exactly what Slides Framework can do. From simple landing pages to more complex layouts, the design tool has everything you need to create an amazing website. Each slide has been carefully crafted to satisfy three key criteria: aesthetic, function and usability. That way you know every element works together seamlessly while enhancing the impact of your content. Plus, Slides comes with plenty of carefully crafted components so that every part of your website will work together seamlessly and showcase your business. Unlike a lot of other website builders, Slide Framework allows each user to build a custom design. Every website created with the tool will have a distinct personality and design so you don’t have to worry about duplicated sites. Round One is a one-page design with vertical sliding animations for each new scroll element. Bright color and fun typography highlight the distinct personality of the game-based company. 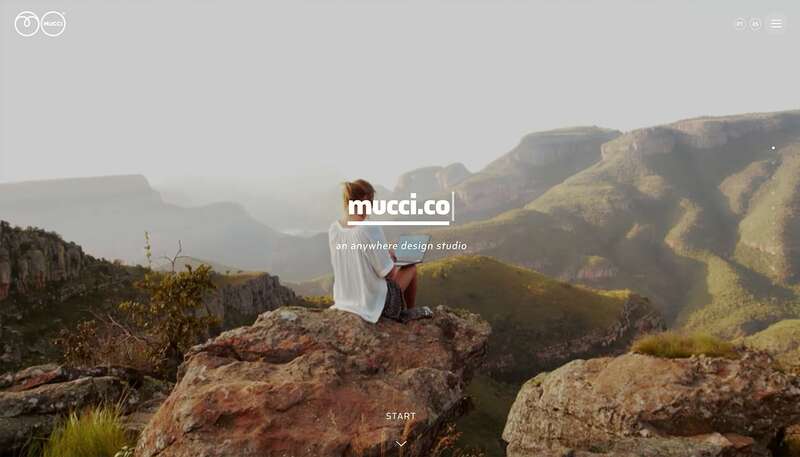 Mucci is a gallery-style website that showcases elements from the designer’s own studio. 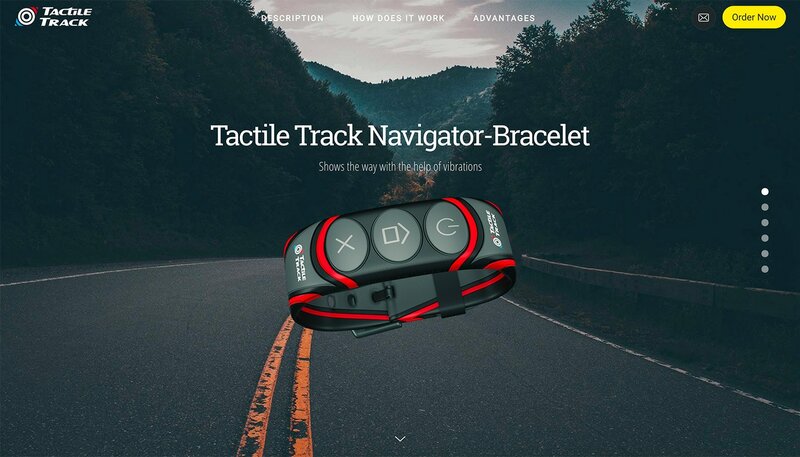 With the help of Slides the website uses cool hover animations to help encourage clicks on different elements. “Easy to use with a great variety of functions!” André Giacomucci said. 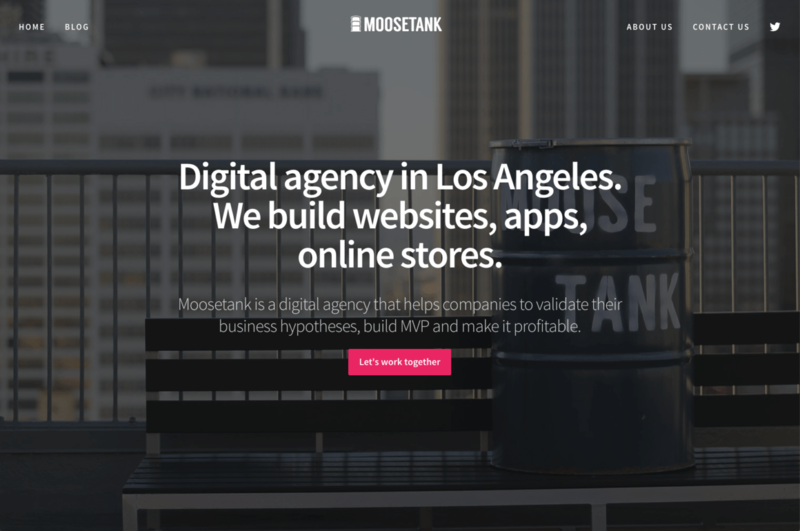 Moosetank is a digital agency that helps companies to validate their business hypotheses, build MVP and make it profitable. 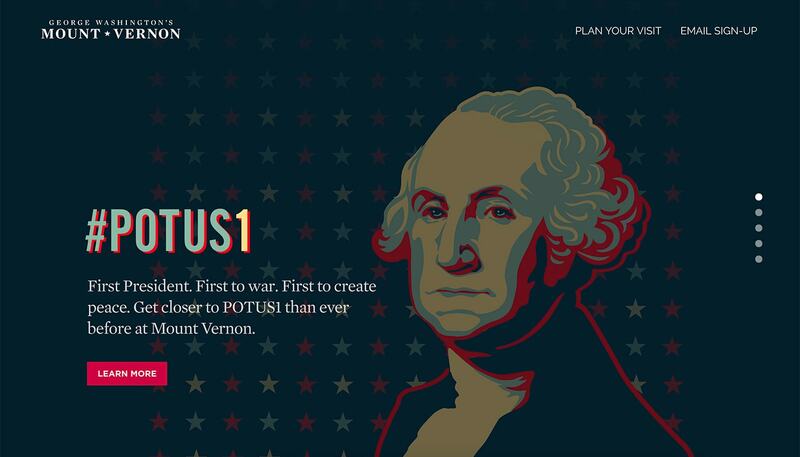 Mount Vernon has a fully integrated design with photos and video, card-style information and a place for visitors to buy tickets or shop online. It’s all the functionality you would want in a website, making Slides a viable option for targeted marketing projects because they can be implemented so quickly. 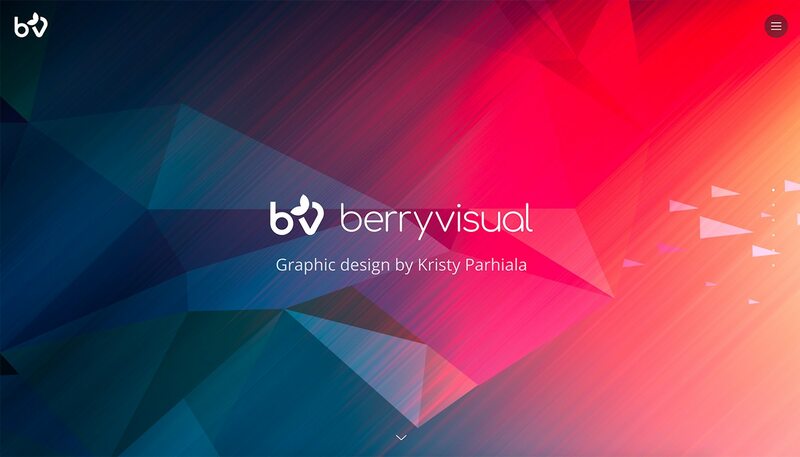 Berry Visual is a simple portfolio website that makes the most of bold color design trends with a striking palette that demands attention. It also features a fun pop-out navigation menu and links for shopping and social media. “I love it. Helps to create a link between full website creation with limited coding knowledge,” said Slides user Kristy Parhiala. Grottino is a simple one-page design that makes the most of big photography and delightful animation to draw in users. Each of the three slides has a simple text overlay that highlights some of the great typography options available for Slides users. 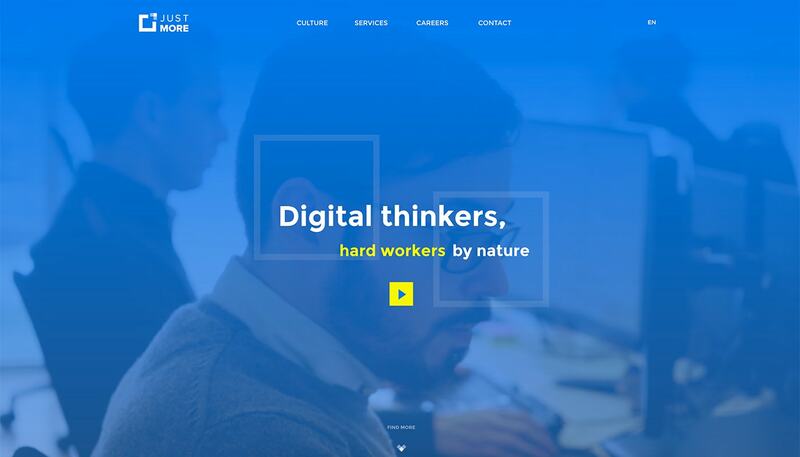 Geobeat features a stylish minimal design and bright color. The design feels almost like an animated slideshow that takes users through the new app and how it works before they decide to download. Using Slides Framework and the sliding, the animated format was a perfect match for the content. Ikonet makes the most of great animated components within Slides. Each flick of the mouse has a cinemagraphic quality thanks to smooth animation in the foreground, background and between elements. “Great design components – easy code to understand and work with,” said user Martin Christiansen. 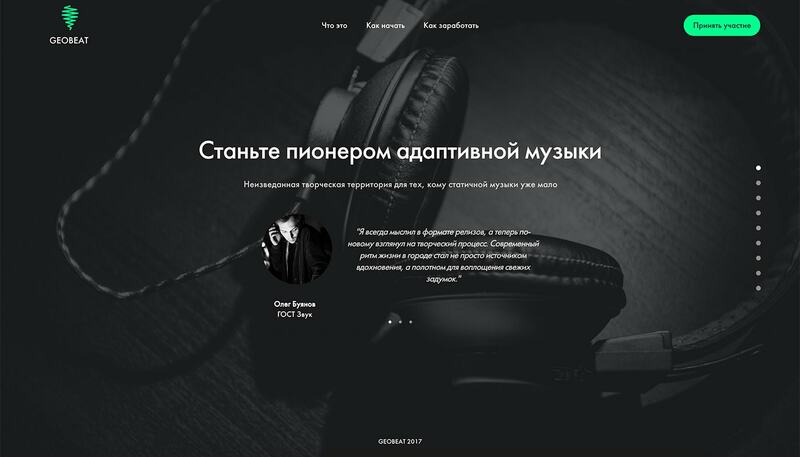 Mago shows that you can make different website panels look great both in full color with an image display or with a white background to encourage readability of type. 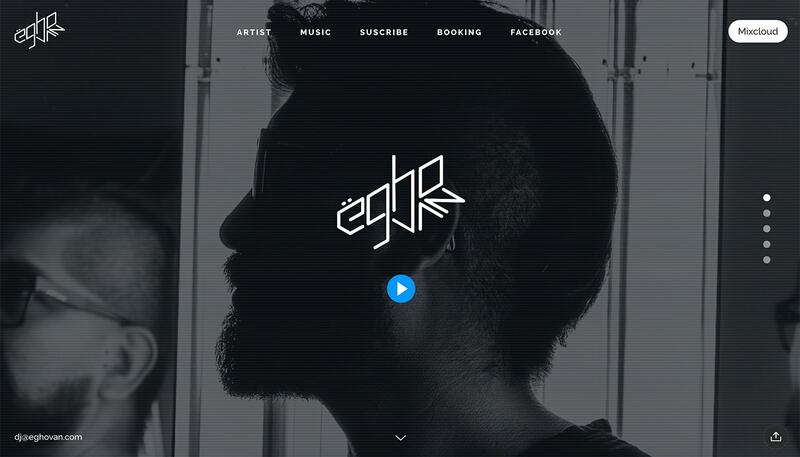 eGhovan brings music to life with a bold display and immersive interactivity between elements. And Slides Framework powers all of the animation (without any coding on the part of the designer). 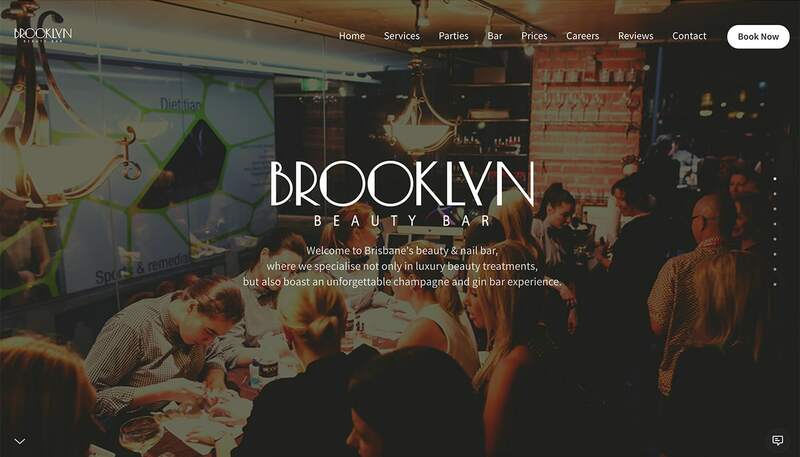 Brooklyn Beauty Bar uses call to action buttons on every slide to encourage user interaction, clicks and even sales. Slides with built-in color overlays make text contrast with the background for improved readability. “The best templating solution ever created!” Phil Diamond, a Slides Framework user commented. 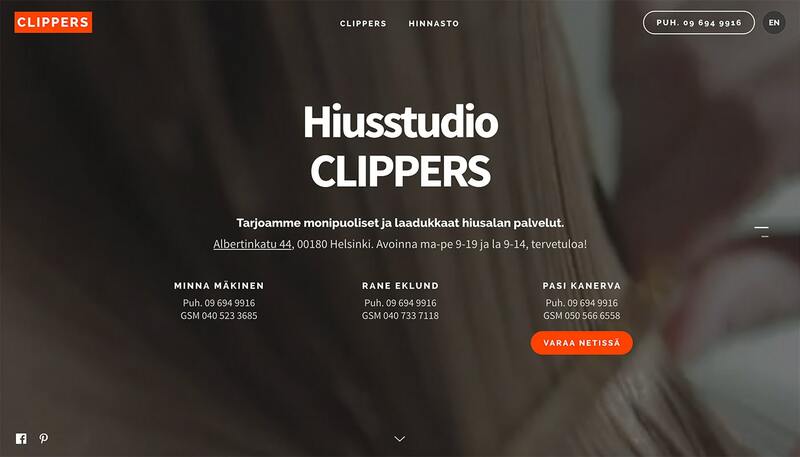 Clippers is one of the more simply designed websites in this showcase, but packs a lot into two “slides.” Visitors get a glimpse of the business in the full screen video and contact information is easy to find. “It’s awesome and saved me a lot of time,” Seppo Sinkkonen said. 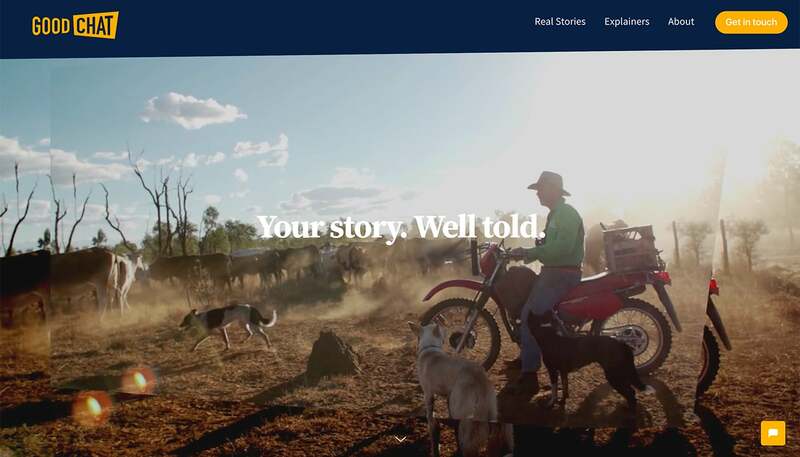 Preston Zeller uses a combination of bold background video, images and text to showcase his marketing portfolio using Slides Framework. Each slide transitions to something equally engaging with a beautiful mash-up of icons and user interface elements. 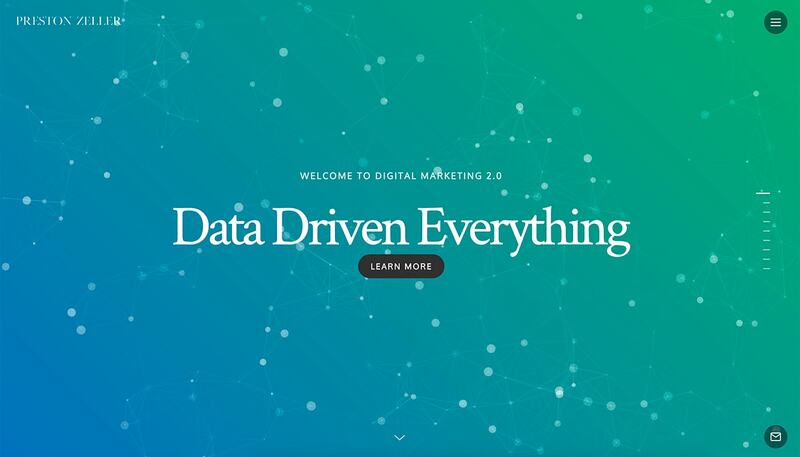 “What a fantastic framework to set up beautiful sites with. Helped elevate my brand quickly and loads fast,” Preston Zeller said. 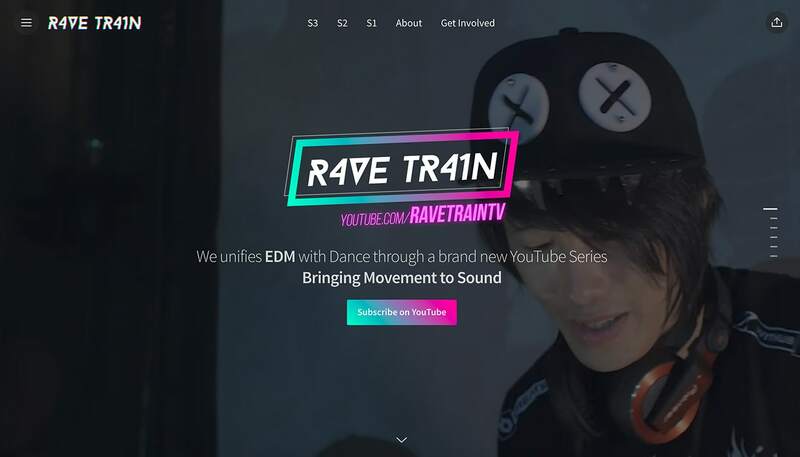 Rave Train showcases a YouTube video series with a fun, fresh modern design. The website shows that users can create pretty much anything with the Slides Framework toolkit … and that no two designs are the same. 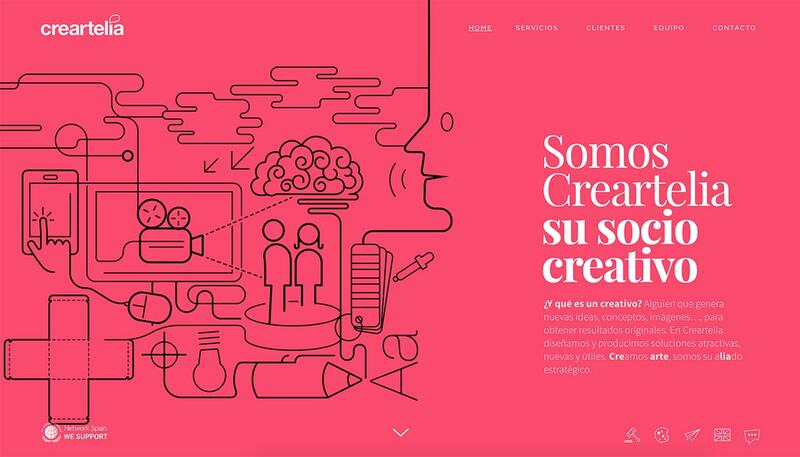 Creartelia takes another approach with a Material Design-inspired concept that uses bold color and simple animation. 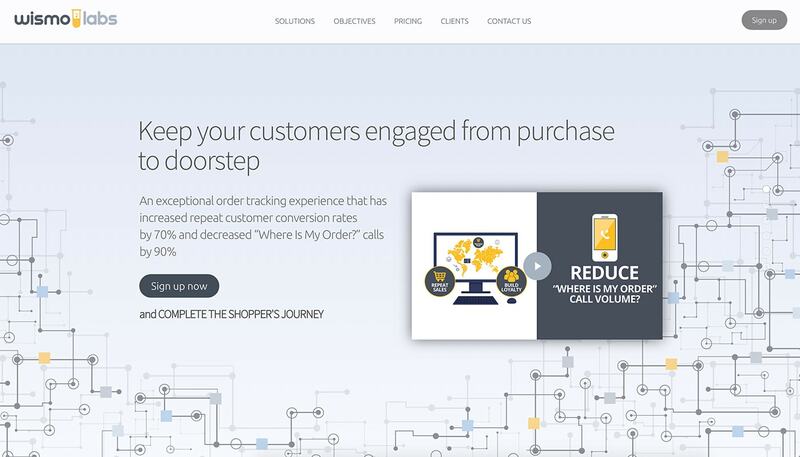 “Easy to use, beautiful design, clean code and lot of descriptive user manuals, so I could only say I love it,” said website owner Pedro M. Rios. 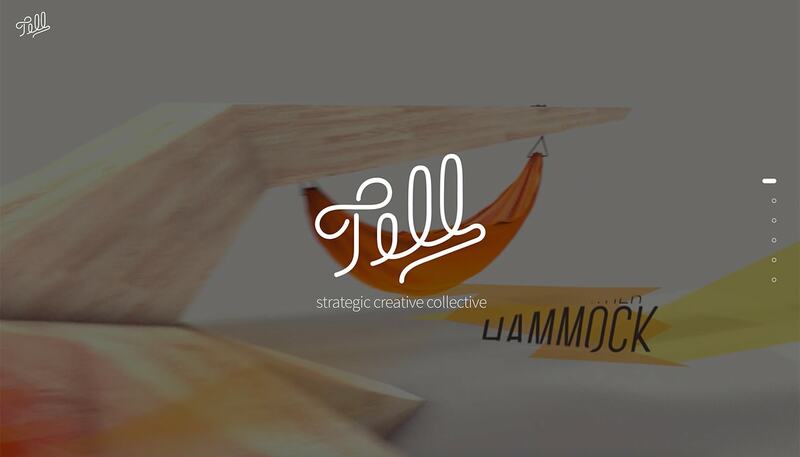 Tell looks almost like a mini movie with full screen video and a simple headline with a delightful typeface that demands attention. “It’s fantastic. It’s worked great for me and my clients alike,” said Slides user Stewart. 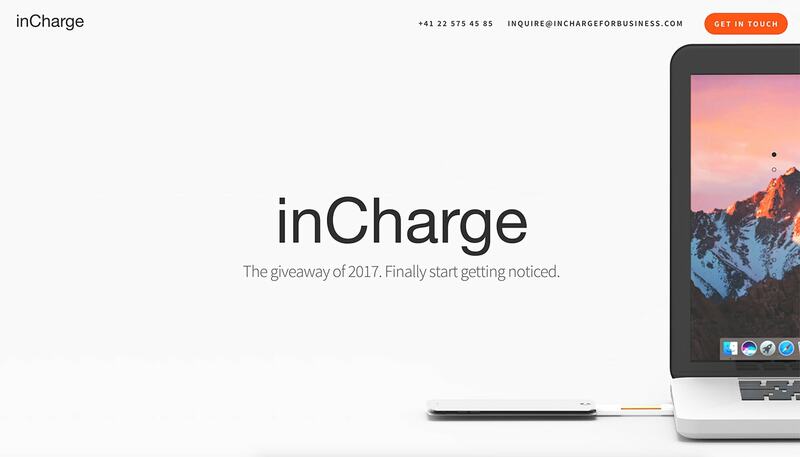 In Charge uses Slides Framework to create a website that functions almost like an in-person presentation pitch. Each slide showcases different information about the product with related imagery using seamless interactions. 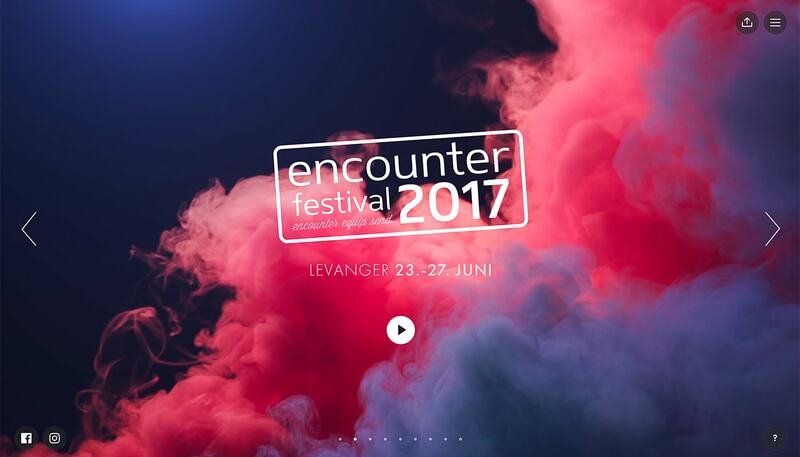 Encounter Festival uses a horizontal sliding format to create visual intrigue for an upcoming festival. Sliding panels mix with stunning still images and layers of content for an immersive user experience. 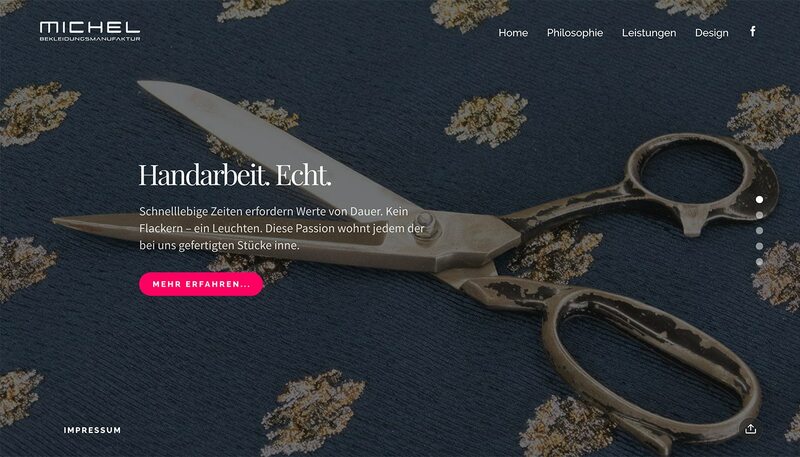 BimBeriBon is an example of how Slides can be the perfect tool to create a simple landing or coming soon page for a business. 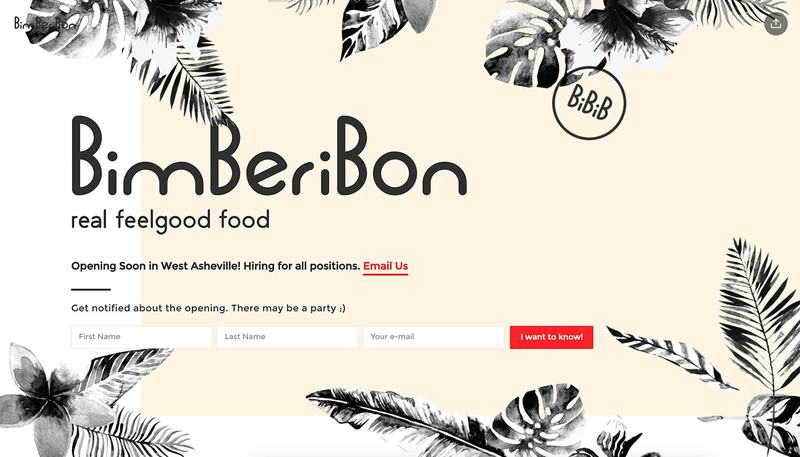 The design integrates and email signup and when the business opens, the BimBeriBon can launch the full site on Slides as well. “It’s such a cool foundation to start to build something creative with,” said Tim Scroggs. 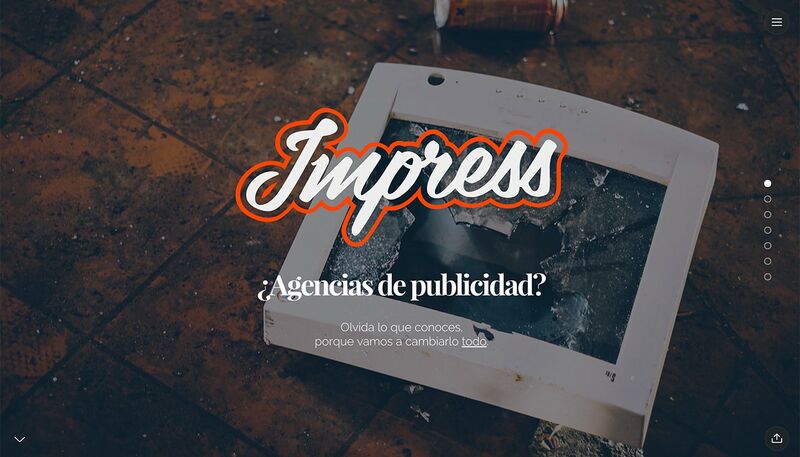 Impress uses two levels of navigation – a hamburger menu and slider bubbles – to ensure that users get everything they need from the photo-heavy design. “I needed my site to be developed asap and didn’t want it to look like “a theme”. Slides Framework to the rescue, 2 days later the site was on the net, awesome,” said Luis Giménez. 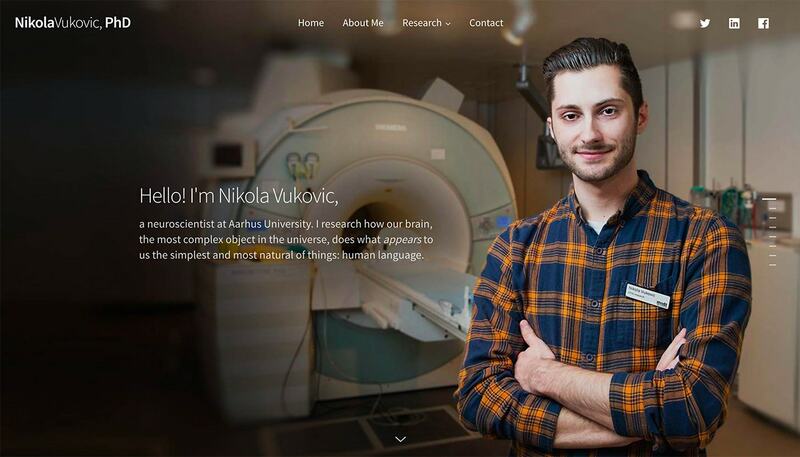 Wismo Labs doesn’t look like a website that’s built using a slide-per-page concept at all. 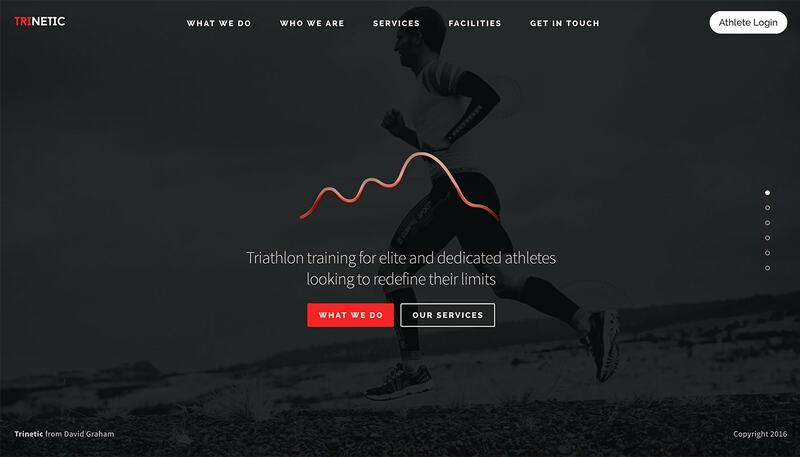 With simple navigation and a streamlined look, the website is robust and includes everything a visitor needs, proving that even site owners that don’t want fancy effects can build a great design on Slides Framework. 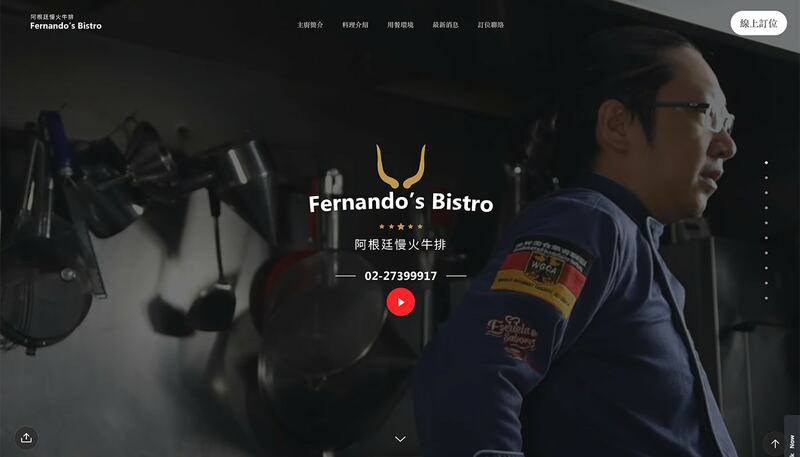 Fernando’s Bistro combines video and smooth transitions to draw users into the design. The color palette, featuring trendy gradients, is a stellar visual component that you must scroll to enjoy. Trinetic embodies the spirit of minimalism with a black and white color outline and bold pops of color throughout. Oversized typography makes everything easy to read pages flow with ease thanks to simple animated transitions. 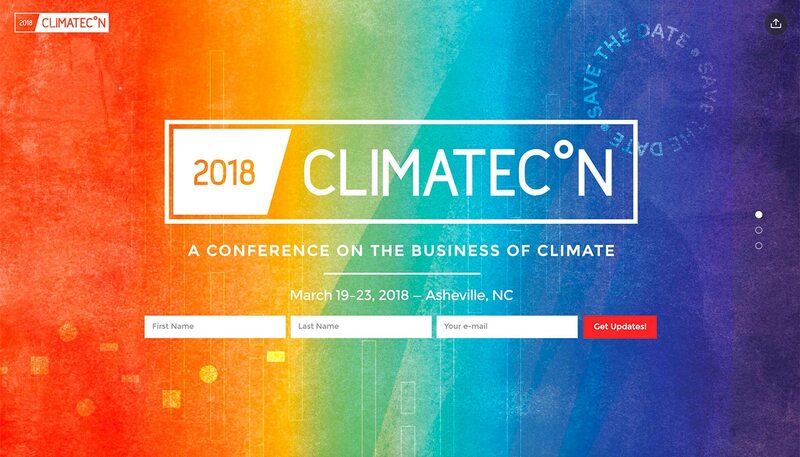 Climatecon put the focus on the words with a bright color background that adds just enough contrast to read each word. One of the best features of this event-based website design is the share button – a Slides Framework feature – to help them spread their message. Tactile Track makes the most of layering with a distinct background and foreground layers to showcase the product. Easy to see buttons are another great feature of this website design. Just More uses color to draw users into the design. After the landing page, the second slide switches to a white background but maintains the blue navigation menu, which is great for usability. 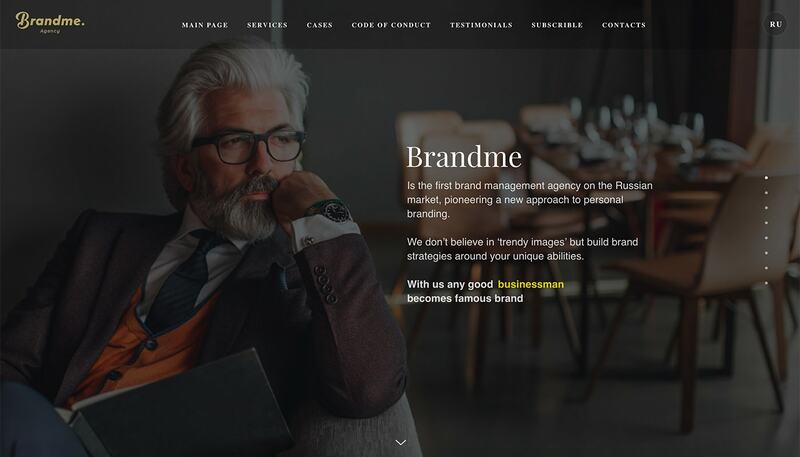 Brandme Agency uses a combination of vertical and horizontal slides to move users through a lot of content. While this might sound confusing, it is clearly organized and easy to manage as a user. Good Chat TV uses slides to showcase creative programming. We website uses interesting video snippets and cool color combinations to attract attention. 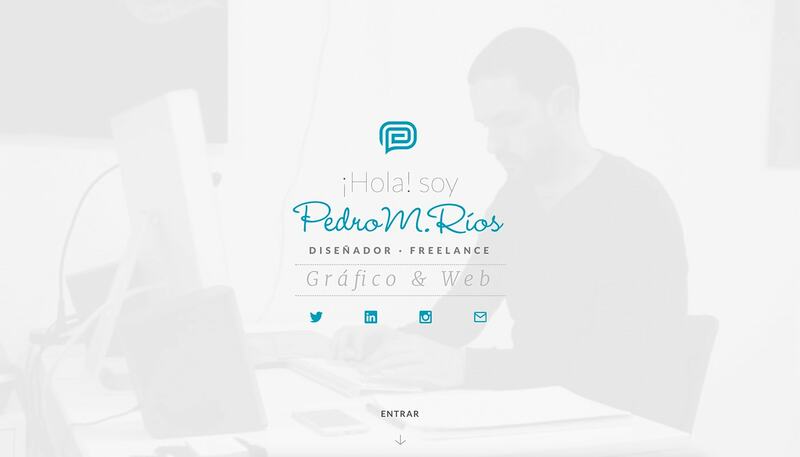 Pedro M. Rios mixes and matches design components, color and great typography in a stunning portfolio site. Every piece fits together seamlessly, thanks to Slides Framework. 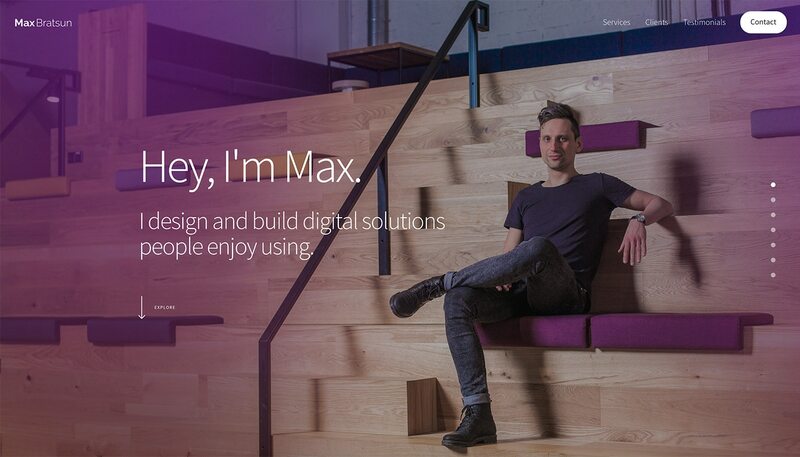 Max Bratsun’s website uses big, clean text to highlight his work. Each page in the design flows and simple animations between elements are a nice touch. 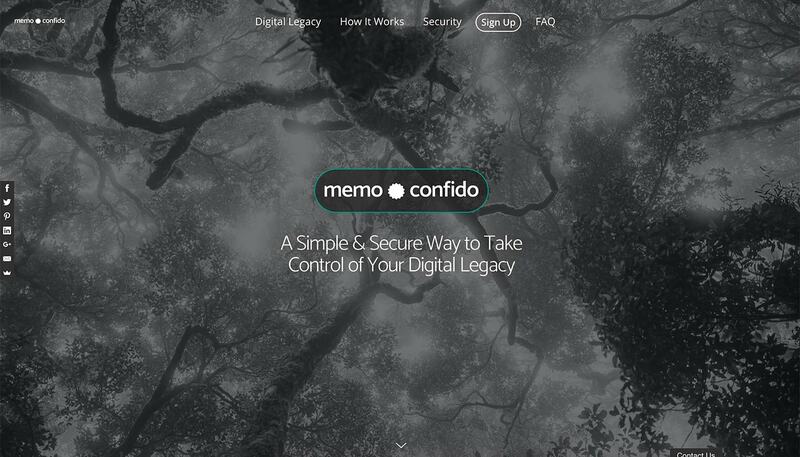 Memo Confido makes the most of scrolling animations to keep users engaged with a content heavy design. Note how each of the buttons look similar even when used in different colors? That’s the kind of detail a well-designed website uses. “Perfect! 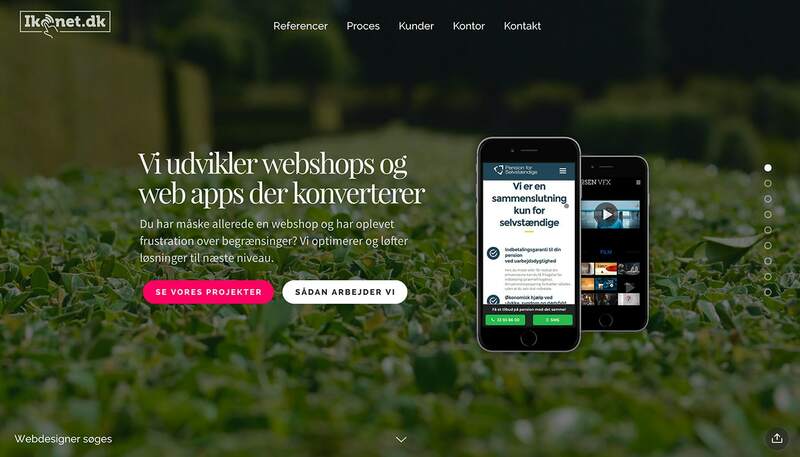 It helped me create a professional looking landing page in quick time with my let’s say a bit outdated web development skills :-) But you still have all possibilities (compared to other landing page generators),” said Slides Framework user Daniel Kersten. 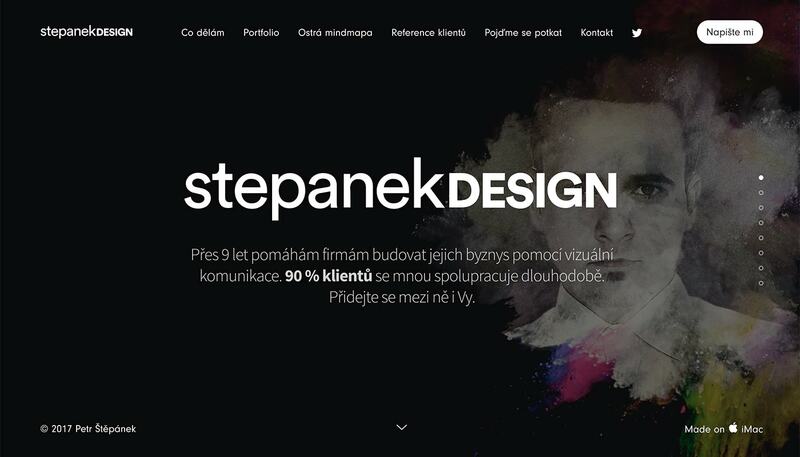 Stepanek Design is another portfolio website with layers of content to showcase work. The static elements in the design are a nice touch with just top layer movement throughout. 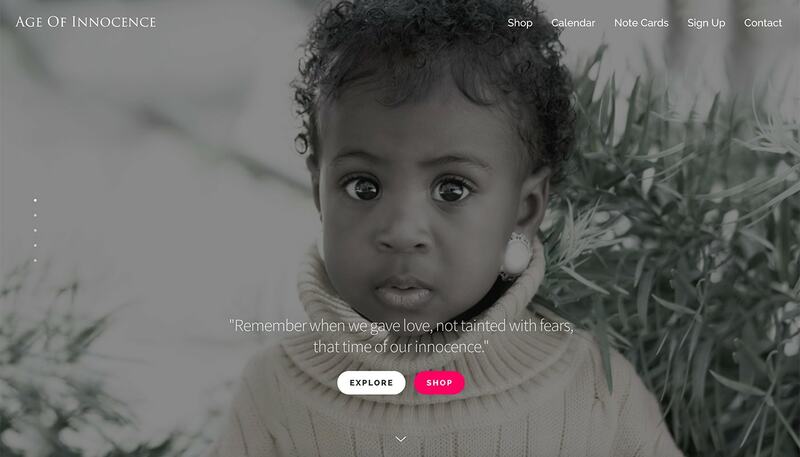 Adorable Images focuses on great photography and user experience to keep you scrolling. The full-screen design is striking and each new slide contains just the right mix of text, images and a call to action to keep users engaged. 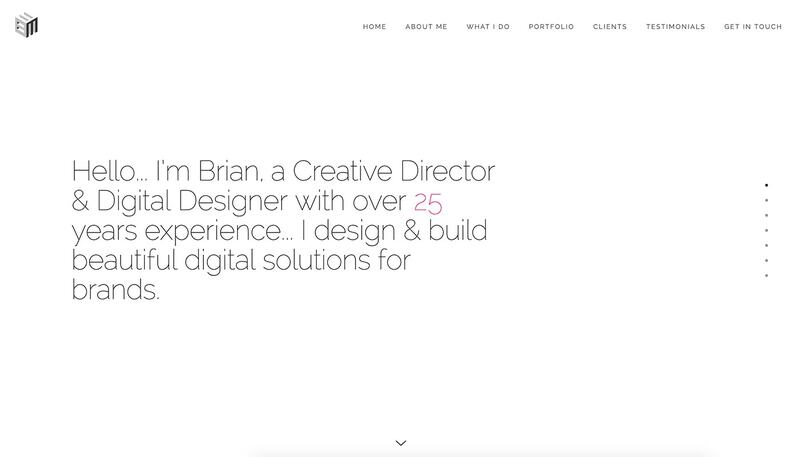 Brian Mann’s minimal design is common for portfolio sites because it gives the work plenty of room. Alternating colors for slides keep the website interesting and encourages clicks. 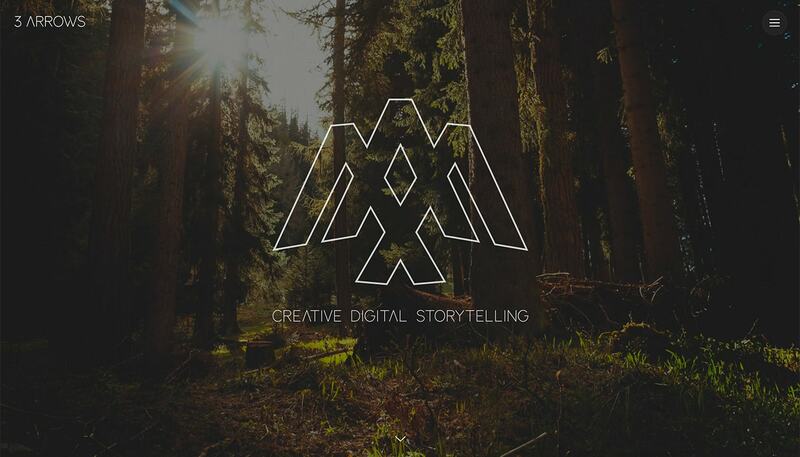 Make My Website has a movie-style feel with great images and subtle movement. 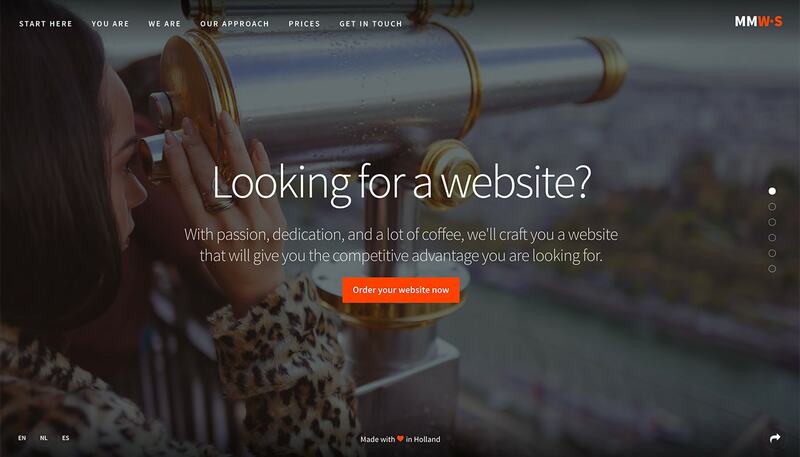 The website looks so great that you really will want them to make your website, too! “Great framework to really speed up the development process, very flexible as well, and it looks amazing,” said Milber Ferreira. 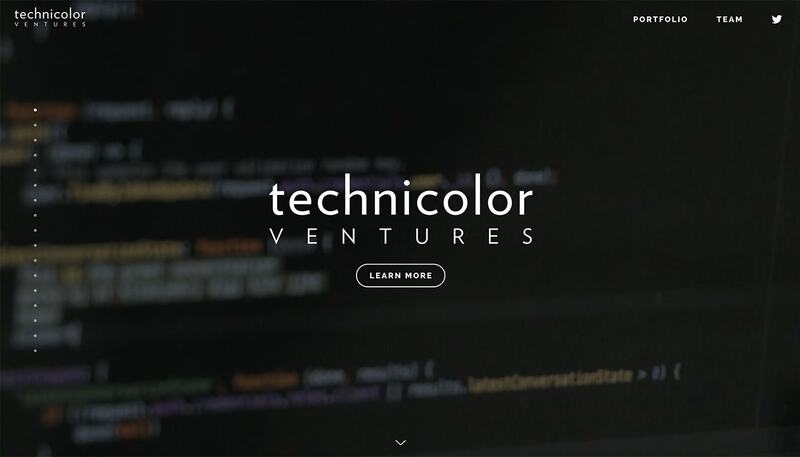 Technicolor Ventures shows that a slide-based website doesn’t have to stop with three or four pages; a lot of slides with moving content can work equally well. One of the best features with the content-heavy design is the scroller on the left so that users can keep up with their progress. 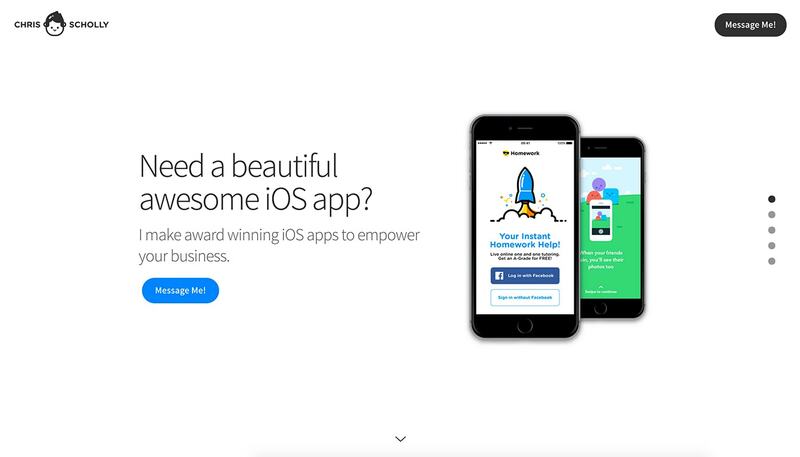 “Great for designers comfortable with Sketch or Photoshop and an IDE to design and code a high quality, visually stunning landing page or website,” said Slides Framework user Aaron Lloyd Whitmore. 3 Arrows is just fun. 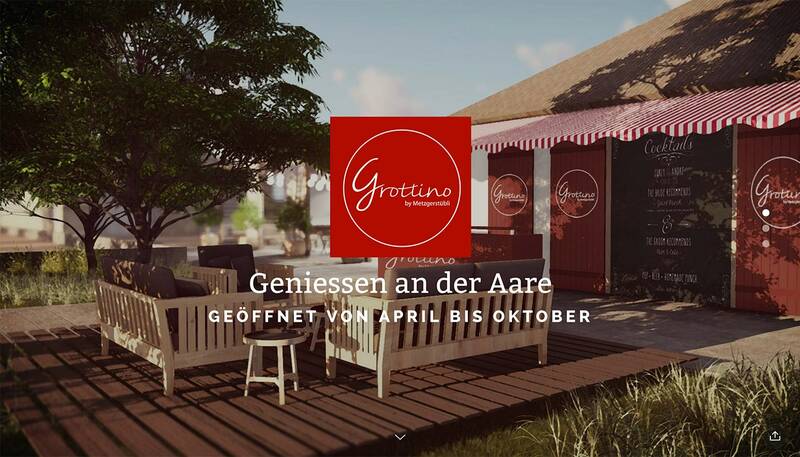 Animations contribute to the relaxed, simple and lighthearted feel of the design. Color and interesting typography bring it all together. 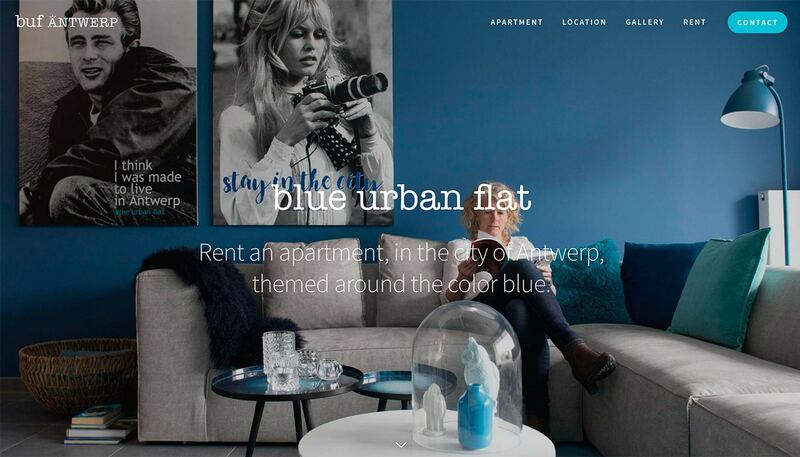 Buf Antwerp shows the beauty and function of Slides Framework for ecommerce. The rental booking site looks great and makes you want to stay in featured properties thanks to a professional design. 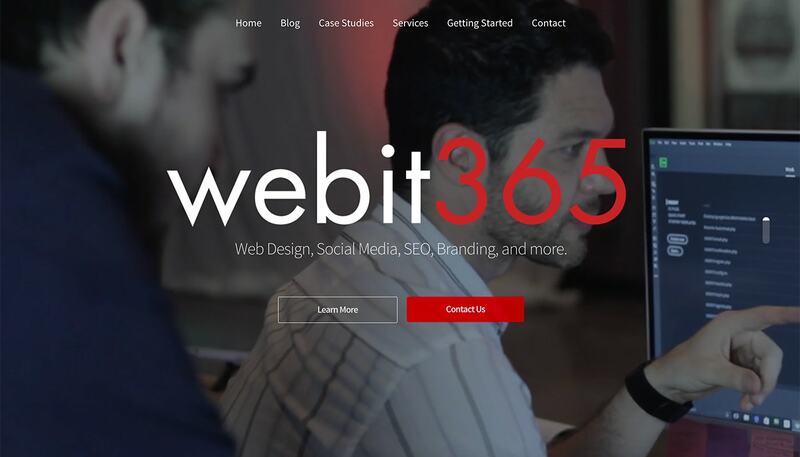 Webit365 uses bold color and type to grab your attention. While the design is simple, it works great and every detail is taken care of. 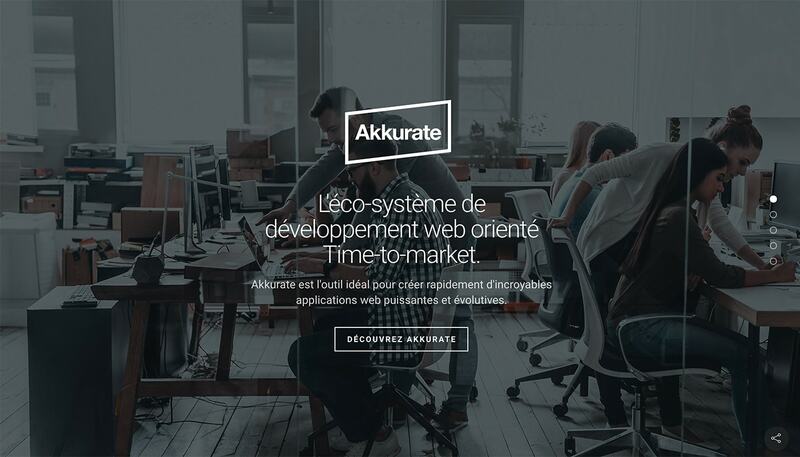 Akkurate uses great images and text to take users through their services, ending with a call to action. The entire website is designed to collect email addresses, and it works effectively. 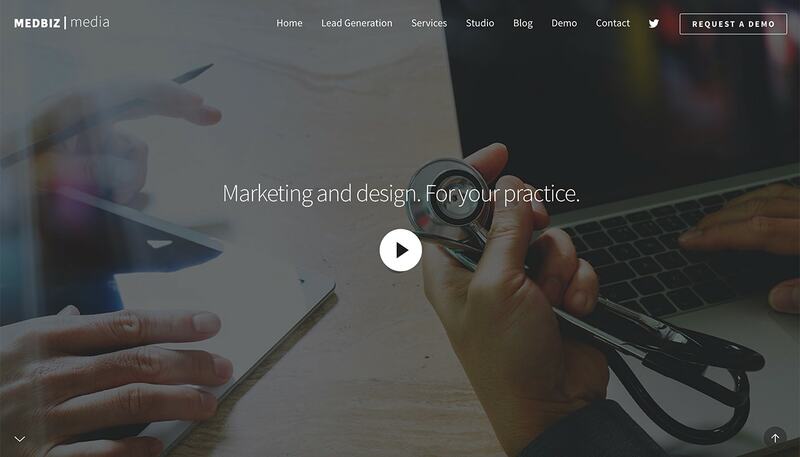 Medbiz Media developed a website design that feels like a sales presentation, and appropriately so. One of the best details in the website design is the small up and down arrows that help guide users through content. “Love it! It’s very organized with a lot of options for customization. Very user-friendly,” said Shannon Berg. Hi, Berhan. You are correct. Some of those examples not updated yet, but soon we’ll update this page with newer examples. Thanks for asking!